Roland Clark was born in 1921 in Southgate, California to Roland and Isabella Clark. According to interment records, Roland Clark, his father, was the next of kin. Roland and Isabella migrated from Illinois to California around 1920. Roland’s father was a cabinet maker. He had an older brother and sister, Verna and Norman, and two younger brothers, Robert and Raymond. Prior to enlisting, Clark attended one year of college and worked in the field of woodworking or cabinet making, like his father. Roland was never married. He was drafted on July 31, 1942 at age 21. He measured 73 inches in height and weighed 165 pounds. Roland died exactly one year after entering the service, at age 22. 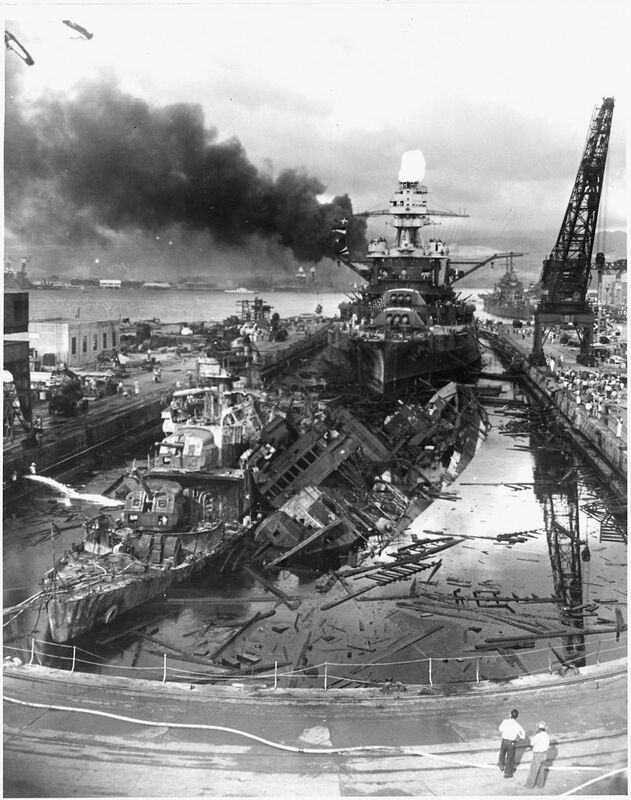 After Pearl Harbor, many men from California signed up to fight abroad. During the early months of 1942 many Japanese Americans in and across California, including Clark’s hometown of Los Angeles, were transported to internment camps as a result of Executive Order 9066. People were scared of another suprise attack from Japan on California’s shores and rumors of potential attacks created more fear among Californians. Once, anti-aircraft gunners were warned that the enemy was spotted on the coast of Southgate, located just five miles southeast of Los Angeles. Southgate was also home to a General Motors plant that converted from building consumer vehicles to producing 500 M-5 Light Tanks per month. During World War II, Californians needed to ration their food. Each person was given rations for food, clothes, and even gas. Many people grew victory gardens in their own backyards. California also became a training ground for soldiers because of the very varied terrain throughout the state. Soldiers, sailors, airmen, and Marines trained on the beaches, mountains, coastlines, and deserts of California. Staff Sergeant Roland Clark was a radio operator and a gunner on B-26 Marauders of the 323rd Bomber Group, 453rd Bomber Squadron, Medium. The unit was nicknamed the “White Tails” because of the white stripe details on the tails of the aircraft. The unit was activated on August 4, 1942, and trained at MacDill Field, Florida. The B-26 Marauder had a reputation of crashing easily when it was first built and was known for its slow speed, flying only up to 150 miles per hour. For an inexperienced pilot this plane could be a death trap. The bomber’s design was improved and it ultimately became one of the more reliable aircraft flown by the U.S. Army Air Corps. The 323rd Bomber Group’s first operations began in July 1943. The unit was tasked to attack marshalling yards, aerodromes, industrial plants, military installations, and other targets in France, Belgium, and Holland. The 323rd Bomber Group was the first Ninth Air Force Group to fly a medium level bombing mission on July 16, 1943. Two weeks later, on July 31, Clark flew in a B-26 Marauder nicknamed Starry Knights (Serial No. 41-34706). He embarked for his fifth combat mission over Europe. But at 11:23 a.m., the aircraft was hit by the German flak in the bomb bay and wing. Starry Knights crashed in Vraignes-lès-Hornoy, a small town located in the Picardie region, France. Three crew members managed to bail out while four others died in the crash. Clark died in the crash, exactly one year after beginning his military service. 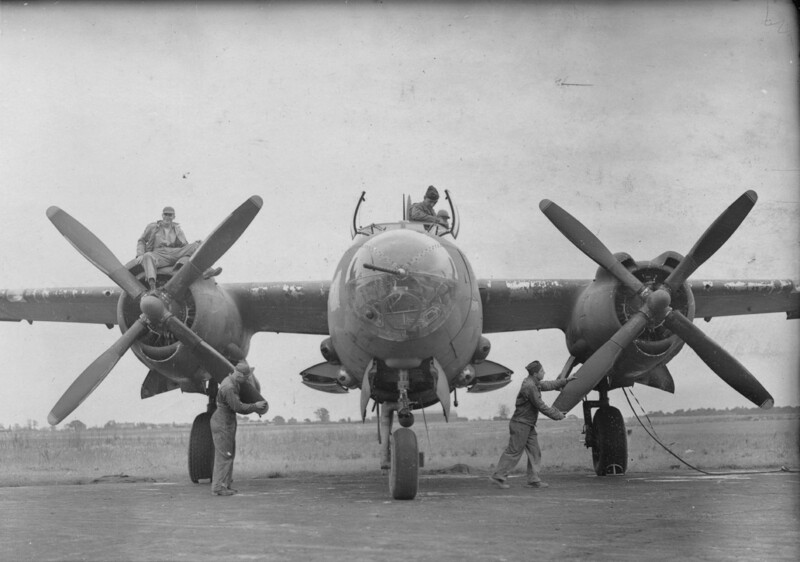 The 323rd Bomber Group continued to take part in important missions for the remainder of the war. They aided in the preparations for the invasion of Normandy as well as taking part in the Battle of the Bulge. July 31, 1943, marks the death of a dearly beloved soul. On this day, one aircraft of the 323rd Bomber Group, 453rd Bomber Squadron was shot down and took the lives of most of its crew, including Staff Sergeant Roland Clark. His bravery is one of many that led to our ensured freedom. We did not have the honor of meeting Staff Sergeant Clark, however, learning about his story and being able to pass down his legacy feels as though we know him in a different sense. We made a deeper, more personal connection. Clark showed us the purest form of sacrifice. He answered our country’s call on July 31, 1942. He attacked marshalling yards, aerodromes, industrial plants, military industries, and other French, Belgian, and Dutch targets as a selfless spirit who would ultimately help our nation prosper. Clark’s parents, as well as his four siblings, must have felt proud of him. We do not believe Clark ever saw himself as a hero. He was so much more. He was a role model, a fighter, and a giver. We can only hope to aspire to be as great of a person as he was, and he will forever mark an important place in our hearts. It is important to remember those who sacrificed everything for their belief of what was right. It is important to know and understand the people that laid down their lives for the freedom of others. Even though they will not get to see the outcome of their sacrifice, we will always remember what Staff Sergeant Roland Clark did for us, and we will never take our freedom for granted. This project has changed our perception on the way war has been portrayed in recent history. Young men willingly signed up to fight for a battle that was not necessarily assured. Clark was only one man, but united with a just cause, his sacrifice contributed to the overall Allied victory. We are eternally grateful and will never be able to pay off such a great debt to our countless heroes. Roland was so young. His story puts into perspective that there is always a cost for freedom, it is not free now and was not free then. Thinking about his family and how hard it must have been to be informed of his passing, reminds us of the families’ sacrifice. This project is not merely another school project but rather a remembrance. Staff Sergeant Clark’s family should not be the only one to know and remember him as a hero, for he did not go to war just for his family. He went in response to his country’s calling and valiantly defended its founding principles. He is a true hero and should always be seen as one. Whenever we look at the American flag, we remember Clark and his courageous stance to uphold morality. We greatly enjoyed going back and researching what occurred during World War II. It made us realize how much the world has changed and how we have to appreciate what we have now. We will forever remember the sacrifices that were made for our freedom today. Photograph, A B-26 Marauder of the 323rd Bomber Group in flight. Roger Freeman Collection, American Air Museum in Britain (FRE 1208). Image. http://www.americanairmuseum.com/media/302. Photograph, A ground crew from the 323rd Bombardment Group prepares a B-26 Marauder nicknamed Buffalo Gal. July 24, 1943. Roger Freeman Collection, American Air Museum in Britain (FRE 1200). http://www.americanairmuseum.com/media/332. 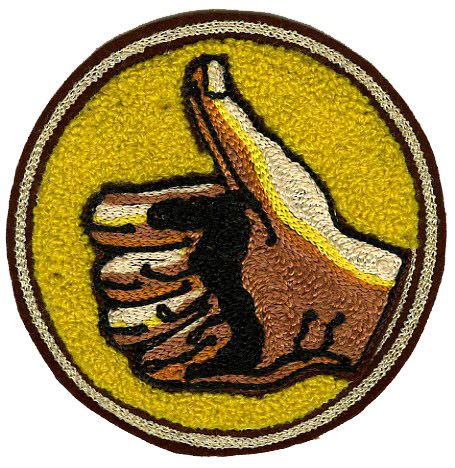 Photograph, The insignia of the 323rd Bomber Squadron. It’s motto, “Vincamus Sine Timoris” means "Without Fear We Conquer." National Museum of the U.S. Air Force shared with the American Air Museum in Britain (UPL 21805). Image. http://www.americanairmuseum.com/media/21805. Records for Roland E. Clark; World War II Army Enlistment Records, 1938-1946 [Electronic File], Record Group 64; National Archives at College Park, College Park, MD [retrieved from the Access to Archival Databases at http://aad.archives.gov/aad/series-description.jsp?s=3360&cat=WR26&bc=,sl, December 1, 2014]. Roland E. Clark, Headstone and Interment Records for U.S. Military Cemeteries on Foreign Soil, 1942-1949. Digital Images. http://ancestry.com. “323rd Bomb Group, 454th Bomb Squadron Association.” Accessed April 3, 2017. http://www.323bg454bs.org/. "California in World War II: Los Angeles Metropolitan Area during World War II." California State Military Museum. Accessed March 6, 2017. http://californiamilitaryhistory.org/LAWWII.html. 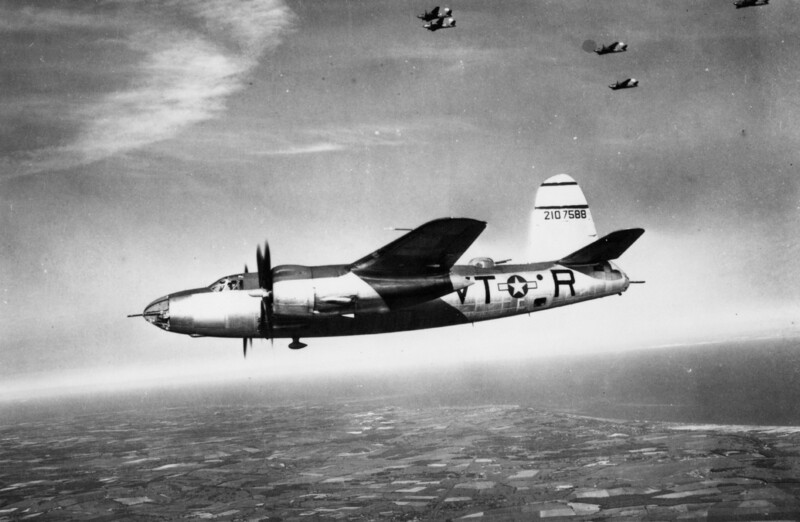 “Martin B-26 Marauder.” The Aviation History Online Museum. June 1, 2017. http://www.aviation-history.com/martin/b26.html. “Roland E. Clark.” American Battle Monuments Commission. Accessed March 6, 2017. https://abmc.gov/node/544363#.Wck9oMiGPIU.